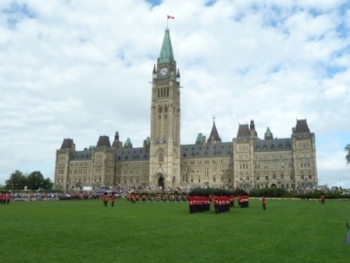 Ottawa, Canada is a beautiful, clean city. We watched the early morning changing of the guards in front of their historic City Hall. 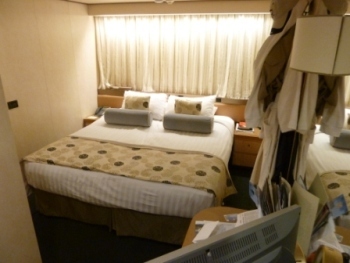 When we entered our "Spa Cabin" on the Holland America Maasdam, we burst out laughing at the tiny room. The yoga mat (included with the room) couldn't even be spread out in the one foot walking space! 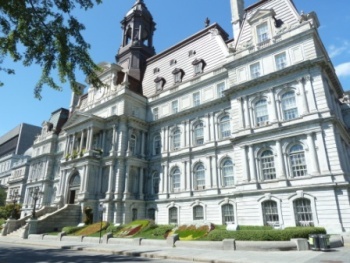 The Montreal City Hall looms over the Old City Center with its interesting shops and gardens. 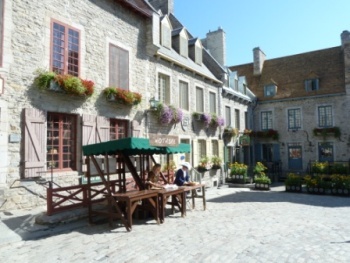 Like a trip back in time, Lower Town in old Quebec was holding an exhibition of Colonial Arts and Crafts. 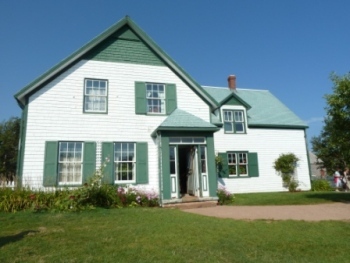 A visit to the home of Anne of Green Gables is a must on Prince Edward Island. 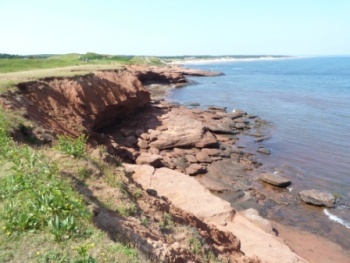 The northern coast, with its red cliffs, overlooks a shoreline of mussel & lobster traps. 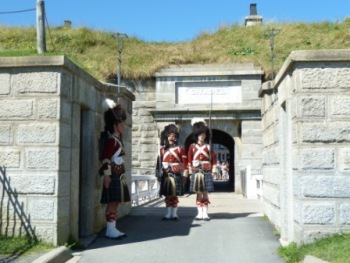 The grounds of the Citadel in Halifax, Nova Scotia dominate the city center. 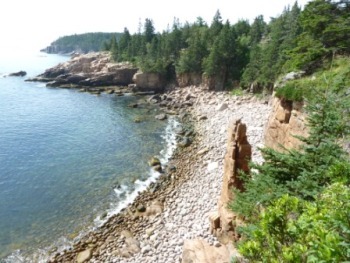 Acadia National Park in Bar Harbour, Maine has miles of hiking trails; including this beautiful coastal trail. 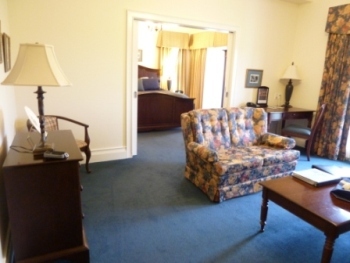 Our 3 room King Suite at the Waring House Inn Bed & Breakfast in Picton, Ontario was a pleasant change from our cruise ship cabin. 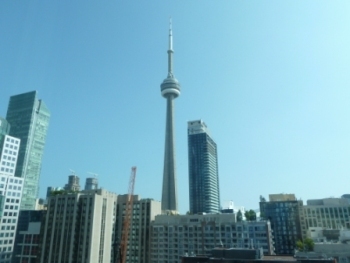 You couldn't beat the view of the CN Tower from our Toronto Hyatt Regency hotel window. 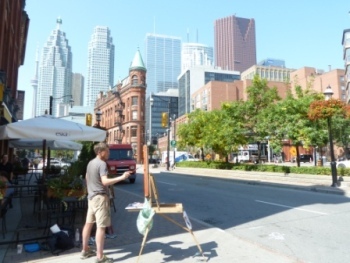 We loved the quaint St. Lawrence Market with its fabulous cheese and international food selection just outside of the modern highrise area. Niagara Falls, of course.